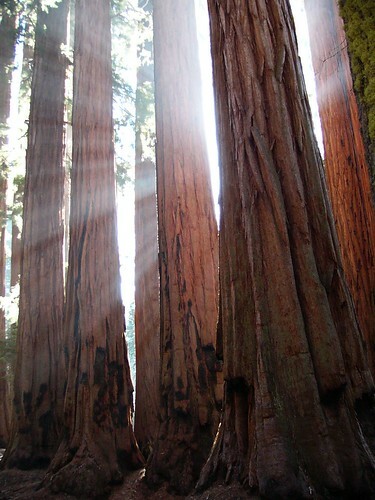 I pray my Sequoia prayer. My mind's eye gradually forms an image of a giant Sequoia. As the image forms and fleshes out to fill my being. Centuries-old roots so wide and deep they have become part of the earth. protecting it from the fires that must come to support its growth. Nurturing birds and other beings, offering up limbs as if in prayer. Awareness of Spirit fills my soul. Breathing calmly. sitting quietly, praying trustingly, becoming. .
With love, grace and light.